MANDALAY — Kyaukse police arrested 82 alleged drug users on Monday in a record high number of arrests for drugs in Kyaukse Township, Mandalay Region. As part of ‘Operation Eagle,’ an anti-narcotic and anti-crime operation being carried out in Mandalay Region, police stormed Lattpan Village located about two miles north of Kyaukse, and arrested 74 men and 2 women, and seized a minivan and 43 motorcycles. “We’ve arrested a total of 76 suspects from Lattpan village and 6 more from other areas in Kyaukse, together with some amount of drugs,” said the duty officer of Kyaukse Township police office. The police said the suspects who were found at Lattpan and Tho Tan villages had traveled there to use drugs and most of them are from Mandalay. “Only twelve of them are from Kyaukse and the rest are from Mandalay. They are still being questioned and we will file a lawsuit against them under anti-narcotics law,” said a police representative. 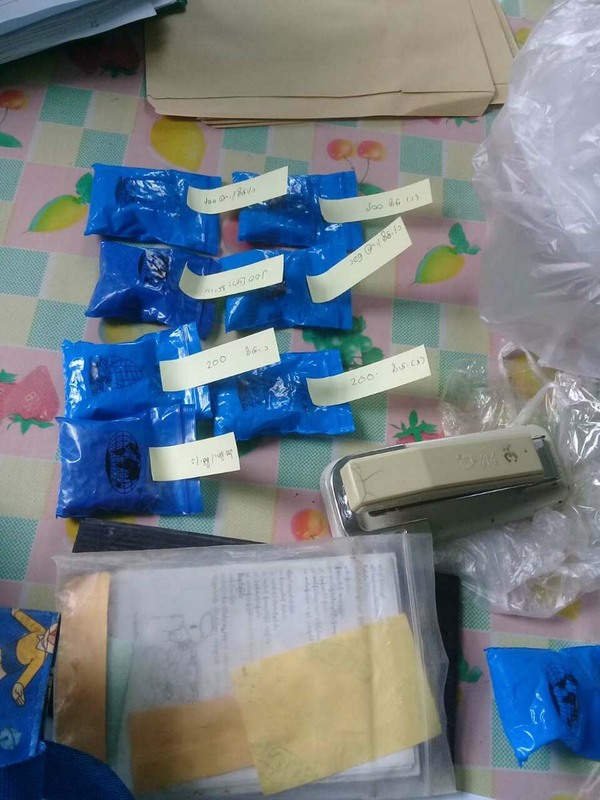 On Tuesday morning, police arrested a drug dealer with 2,000 yaba (methamphetamine) tablets and are currently searching for other related persons. According to the locals, Lattpan and Tho Tan villages are famous for their drug houses where users from nearby regions gather to use drugs. However, until now the police had not been able to take any action due to the risk of violence. “Those villages are legendary for their drug houses where thugs are operating and nobody dares to approach the area. The police couldn’t even approach them. There were attempts by police to storm into the area, however, they didn’t arrest anyone because the news would usually get out and the drug dealers and users would run away before the police arrived,” said U Ko Ko Lwin, a local member of political group 88 Generation Peace and Open Society. He said there have been many police officers who took bribes from drug dealers and thugs and neglected addressing the drug abuses in the town. However, movements in anti-corruption that have seen punishments for members of the Kyaukse police force who took bribes from timber smugglers have alarmed corrupt police officers. “Thanks to President U Win Myint’s instructions on anti-corruption and anti-narcotics, corruption among police officers seems to be reducing and [the police] are working more efficiently, especially on the anti-narcotics movement,” said U Ko Ko Lwin. “We hope drug abuse cases in our town will decline and soon completely vanish,” he added.